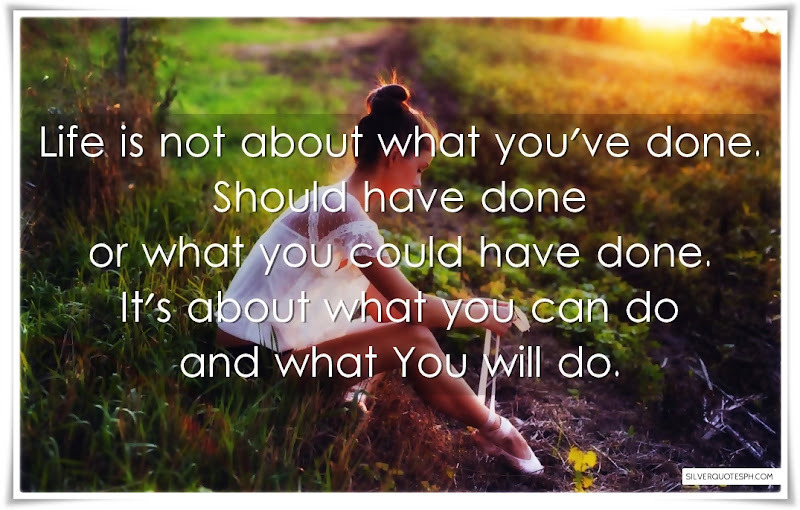 Life is not about what you've done. Should have done or what you could have done. It's about what you can do and what You will do.